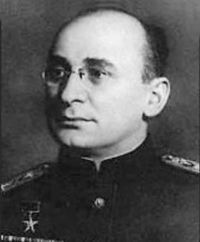 At the time, I described the giant database idea as ‘The Beria Principle’ after NKVD security Lavrentiy Beria, the executor of Joseph Stalin's ‘Great Purge’ of the 1930s. Now while we have an Office of Constitutional Affairs, we don’t yet have a Combined State Political Directorate and that’s where I fear the idea for a "A huge Whitehall 'super-database' of people's personal details” might best sit, regardless of the noises surrounding its true objective of improving public services." At the forthcoming e-crime congress in March,, this is a subject we’ll be examining in the company of Professor Ross Anderson and Information Commissioner Richard Thomas, who has already warned that Britain may be 'sleepwalking into a ‘surveillance society'. So why do I object to the idea of joined-up government in the battle to improve public-sector efficiency and fight fraud. In principle, I don’t but in practise, I’m naturally uneasy when it comes to public-sector guardianship of personal data, whether this involves National Insurance or National Health information, or simply the list of people who want to receive a text warning from MI5 in the even of a security alert. The simple facts of the matter are that government leaks like a sieve. We know from scandalous story after story that personal information isn’t secure and that criminals, organised or opportunistic, know that working for government departments, like the Immigration service or even the Home Office can give them access to information or materials that can produce anything from Passports to National Insurance numbers. After all, it’s been suggested that as many as 30% of the NI numbers in circulation are bogus, costing the Treasury billions in fraud each year. So why not have a single database that provides for a cross checking of information, an idea that re-emerged from the Government's policy review on public services, which is headed by Work and Pensions Secretary John Hutton? I have several objections. Firstly, we don’t have enough floor space in our prisons to deal with the number of fraudsters, thieves and illegal immigrants that such a database might reveal. Secondly, mirroring the privacy concerns that have marred the progress of the National Program for IT (NPfIT) in the Health Service, there’s very little trust in government to properly protect the full details of your life from ‘interested parties’. These could be the security services, the Inland Revenue, your local council, Tesco, the Russian Mafia or the nascent Combined State Political Directorate of tomorrow, given the rapid and alarming manner in which our unwritten constitution has changed over the last decade. While being joined-up may offer a real advantage to governments departments, the privacy risks to the rest of us are even greater and until the public sector can demonstrate a rather better track record of success with personal data than it has in the past I think I’ll support my spooky friend in believing that some things are best left alone if we are not to plunge headlong into Big Brother’s vision of a joined-up future that I want no part in.